Hohensalzburg Fortress looms over Salzburg's floodlit old town. 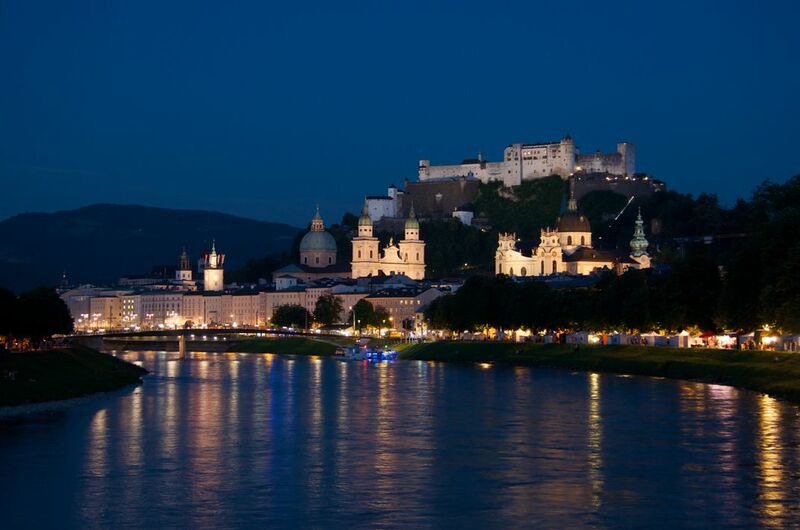 The home of Mozart and (much) more recently "The Sound of Music", Salzburg is a very interesting stop in Austria. Date Uploaded: April 12, 2015, 5:22 p.m.